Just like with 2D fighting games, there are basically two types of shmup fans: those who love them primarily for the fun of developing the skills required to play them with any modicum of success, and those that are still attached to the genre for reasons of nostalgia. For those in the first category, games like Ikaruga and Radiant Silvergun are often referred to as the pinnacle of gameplay excellence, while those in the later camp will often cite R-Type Final or Gradius V as their favorite shmups of all time. I fall into the second category. 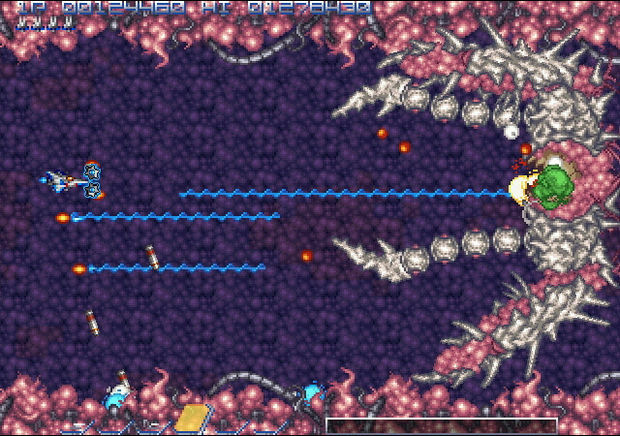 Honestly, I've never played a shmup that I didn't like, but my favorites are definitely the games that predate the "bullet hell" paradigm that has pretty much dominated the genre for the past ten years. No, my love of shmups is definitely more tied to rose-tinted memories of "the good old days," hence my complete adoration of Bionic Commando Rearmed, Mega Man 9, and Contra 4. 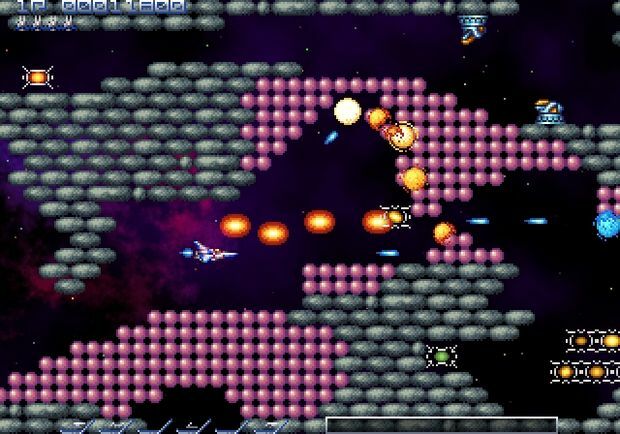 It's with that throbbing, retro-hungry pixel lust that I dove into Gradius Rebirth. Sure, I wanted the game to have good level design and enemy patterns, but more than anything, I was hoping that it would deliver the kind of graphics, music, and gameplay that could effectively take me back to 1989, a time when I didn't think games could ever get any better than R-Type and Blazing Lasers. Does the game succeed at taking me back twenty years in the past? On top of that, is the game actually any fun? Hit the jump to find out. 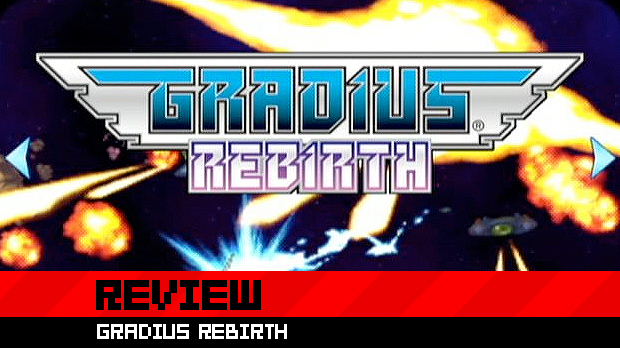 If you are one of the people who bought a Wii in part to play all the old TurboGrafx-16/Genesis shmups, then you need to skip this review and just buy Gradius Rebirth right now. From a style perspective, it is completely indistinguishable from the better TG-16/Genesis shooters on the Virtual Console. For some, that will be a very good thing. 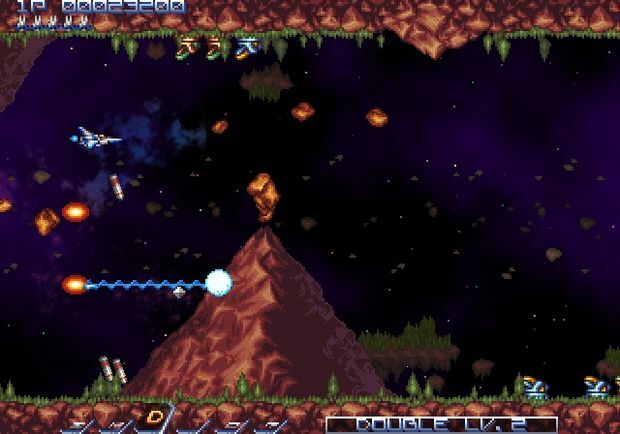 The game doesn't just look like a TG-16/Genesis shmup from the late 1980s; it feels like one as well. The game's opening cinema is so packed with "Genesis does what Ninten-don't" flair that I actually had to watch it twice before I jumped into the game. I really couldn't believe what I was seeing. You see, there were certain shmup story cliches back in 1989 that I almost forgot existed. 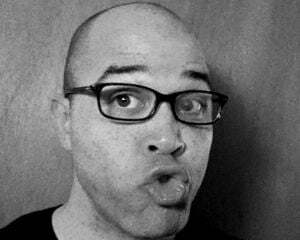 I'm talking about Robotech-looking stuff like "interstellar news casts," a hero who is never seen out of his space helmet, a suspicious alien scientist who advises our hero on how to fight other aliens, the slow but deliberate departure of "your ship" from its mothership as inspiring music swells in the background; these are all part of the aesthetic of the late-80s shmups, and they are all present and accounted for here in Gradius Rebirth. The nostalgia doesn't stop there. 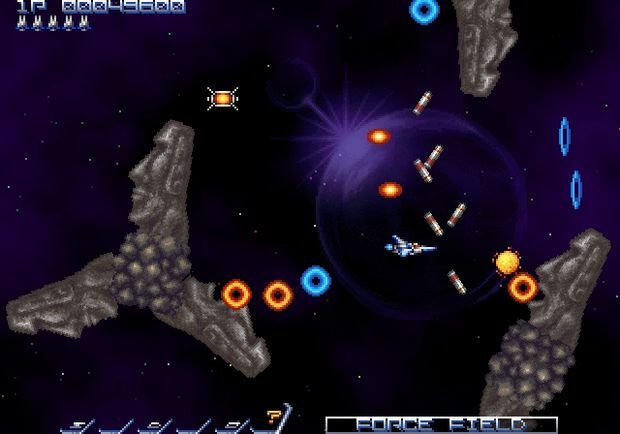 The first stage of Gradius Rebirth is a near-exact visual replica of the first area of Gradius, except with new enemies, new level design, and a new gimmick. At the start of the stage there are two machines, one red and one white, that look just like regular enemy generators, except the only thing they expel is red and white dust (respectively). You can just avoid them completely, which will keep the stage the way it is; you can destroy the red one, which will cause the stage to be covered in snow; or you can shoot the white one, which will cause all the mountains in the stage to turn into erupting volcanoes. With that, Gradius Rebirth's intentions are made clear: to give you the old Gradius world, but to have you explore it in a new way. For the most part, the game makes good on its intentions. The tried-and-true Gradius level structures of opening power-up collection section, main level section, "panic" section, then boss fight, have all been perfectly retained. Also fully intact is the signature Gradius power-up chain (speed up, missile, double, laser, option, and "? "), although there are now a few new ships that make use of the chain in all new ways. You start the game with three selectable ships, with two more "experimental" models unlockable by meeting certain in-game requirements. On the higher difficulty settings, some stages are nearly impossible to beat without the right ship, so you'll be trying each of them out at least once over the course of the game. 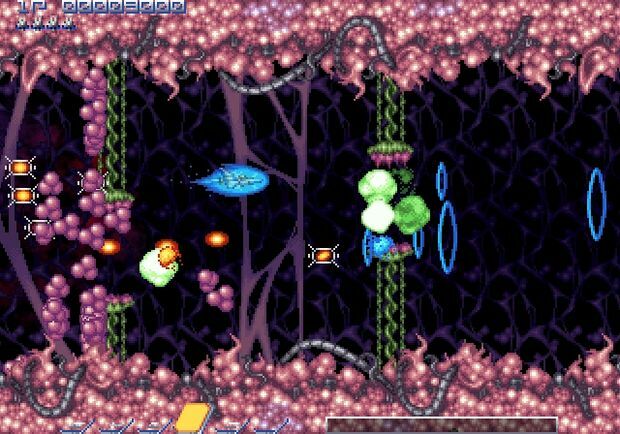 Each level is based on something found in a previous Gradius game, but with enough added twists to keep it feeling fresh and unpredictable. There is a sequence at the end of Stage 2 that is designed like nothing I've ever done in a shmup, where I had to simultaneously blast the walls in front of me so that I could safely pass through them, while dodging the enemies flying at high speeds from behind me, and also trying to collect the power-ups from those enemies after blowing them up. I've played just this section of the game at least twenty times since I got the game, and it's still exciting. Sadly, the game only has five stages in total (not including a couple of secret warp zone levels), which is notably less than average for a Gradius game. After beating it once, you open up "Loop 2," a second playthrough of the game's levels that features new layouts, and more plentiful and aggressive enemies. Playing Loop 2 doesn't quite feel like a whole new game, but you'll certainly have to learn new strategies and patterns in order to get through it. That brings me to the game's difficulty. There are five difficulty settings, three of which are nearly impossible to beat without hours of trial and error. On normal and above, Gradius Rebirth is much harder than most Gradius games, to the point where I don't think I'll ever be able to beat it on 'very hard.' In order to see the game's "real ending," you have to beat Loop 2 on normal or higher, which was so incredibly tough to do that I honestly didn't think I'd be able to do it in time for this review. Like most classic Konami games, Gradius Rebirth is a game where you need to power up early, and keep your power-ups through the whole game, in order to stand a chance. Die once, and you lose everything, which basically leaves you screwed. If it weren't for the fact that you can start your game from any of four checkpoints in any level once you've gotten to them at least once, and that you can use the "Konami code" from any of these checkpoints to load your ship with weaponry, I wouldn't be writing this right now. I'd still be trying to beat the game. Gradius Rebirth is definitely a game that focuses on making the player take pride in achieving what they once thought was impossible. On one of my many attempts to get through the Moah heads level on Loop 2, just surviving for a few more seconds than I did on my previous attempt caused me to pause the game, take a deep breath, and perform a fist pump. Just a few more seconds of survival provided me with a sense of total victory, more so than I've gotten from playing through some other games in their entirety. The game's developers seemed to be aware of this, which is probably why they allow for you to record a full replay of anything you do in Score Attack mode, and/or upload your high scores to the game's online leaderboards. As nice as those features are, they don't make up for the main extra I was hoping for out of Gradius Rebirth: two player co-op. I hate to knock a game for something it doesn't have, but it has to be said, since most of the best Gradius games in the past allowed for two player co-op. To omit such a simple addition from this game is a pretty serious loss. Truth be told, though, I don't live around anyone that would really be willing to play Gradius Rebirth with me anyway. I love the game in a fetish sort of way, in a way that I don't expect most people to relate with. That said, I recognize that a lot of things I love about the game don't have much to do with its quality, and have everything to do with its style, and the feelings of nostalgia that they evoke. All nostalgia aside, the game does have five very well-designed, traditional Gradius levels, online leaderboards, and enough difficulty to keep determined gamers busy for a long time. Oh, and before I finish, I have to mention the game's soundtrack. It's incredible. There is a reason why they put it on sale for $40, despite the fact that the game only costs $10. It's just that good. If you bought the game just to listen to it, some would say it was money well spent.